Give your children headphones that fit on their heads. We have the #1 selling kids headphones and headphones that limit the volume level to prevent early hearing loss. FREE KidzControl Volume Limit Cable to limit audio volume to approximately 80% (approx. 20dB lower) of original maximum volume. Built-in independent volume control allows the parent to set the maximum volume on the ipod or other device, and still allow the child to feel in control. 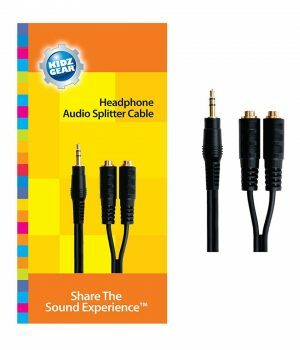 Use the included Volume Limit Cable to prevent the volume from going over safe levels. 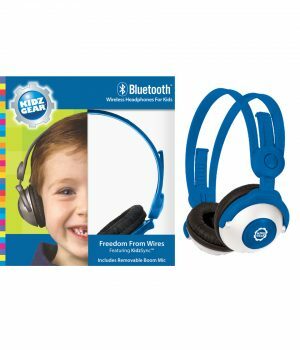 The first adult-featured stereo headphones made specifically for kids. 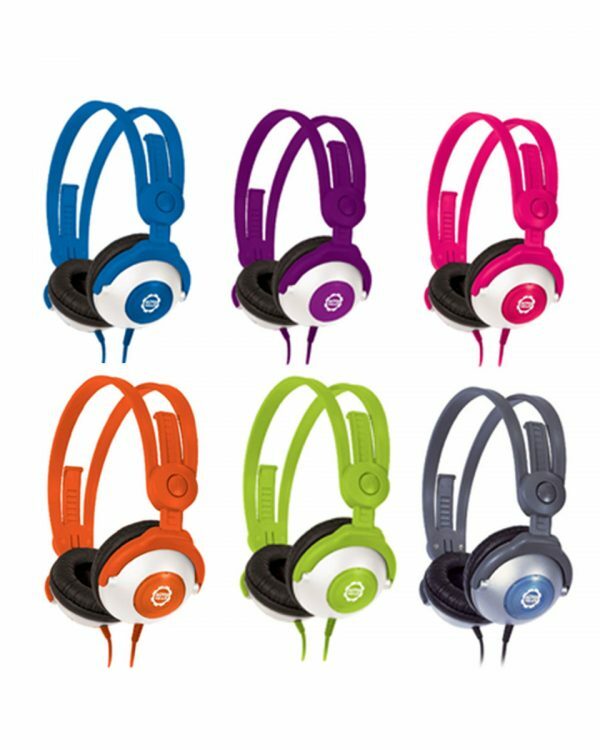 Manufactured with the same high quality components as those used in standard adult headphones, the Kidz Gear Headphones deliver extremely rich stereo sound quality for all your audio needs – DVDs, MP3s, Game Players, Television, Radio and more. 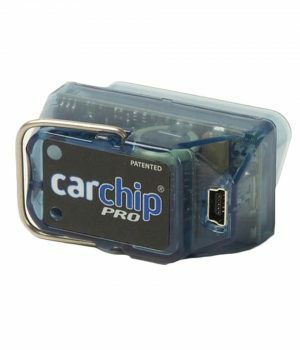 They are a must for children in the car, on the plane or hanging out at home. Take the guess work out of determining how loud is too loud. 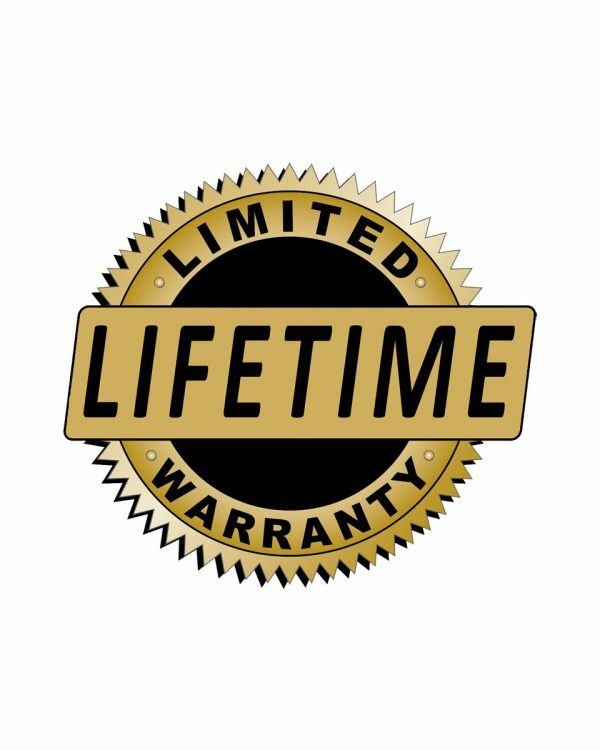 Never worry about how loud or long you can listen to your music, regardless of how high the volume is turned up on the audio device, these headphones prevent it from exceeding what the researchers have determined is a safe volume. 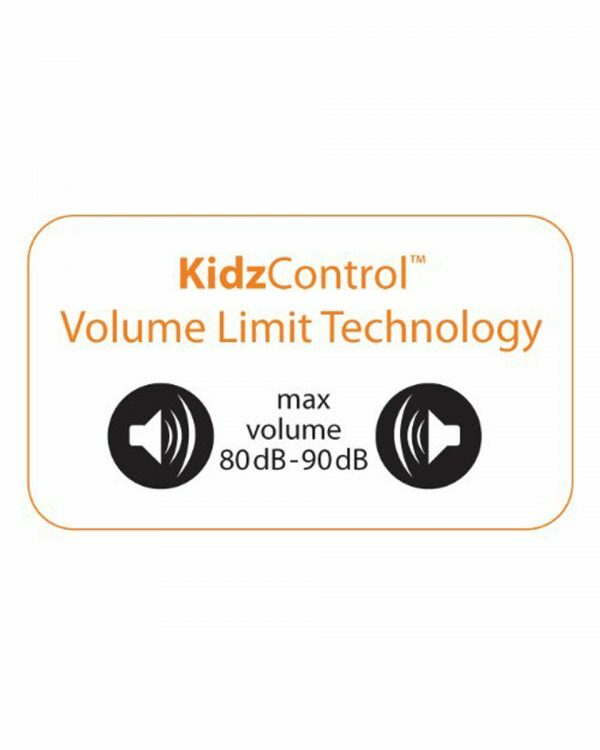 Includes a KidzControl Volume Limit Cable to limit audio volume to approximately 80% (~ 20dB lower) of original maximum volume. Reduce the chance of hearing loss. 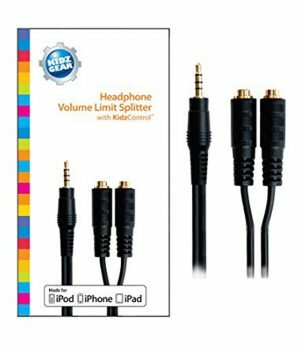 Works on all audio devices that have a standard 3.5mm plug. Built-in independent volume control allows the parent to set the maximum volume on the iPod or other device, and still allow the child to feel in control.